We investigate a parallelization strategy for dense matrix factorization (DMF) algorithms, using OpenMP, that departs from the legacy (or conventional) solution, which simply extracts concurrency from a multi-threaded version of basic linear algebra subroutines (BLAS). The proposed approach is also different from the more sophisticated runtime-based implementations, which decompose the operation into tasks and identify dependencies via directives and runtime support. Instead, our strategy attains high performance by explicitly embedding a static look-ahead technique into the DMF code, in order to overcome the performance bottleneck of the panel factorization, and realizing the trailing update via a cache-aware multi-threaded implementation of the BLAS. 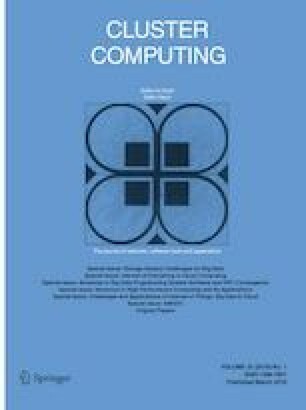 Although the parallel algorithms are specified with a high level of abstraction, the actual implementation can be easily derived from them, paving the road to deriving a high performance implementation of a considerable fraction of linear algebra package (LAPACK) functionality on any multicore platform with an OpenMP-like runtime. BLAS-like library instatiation software framework. Unified API for lightweight thread libraries. DMF algorithm linked with GNUs runtime. DMF algorithm linked with Intels runtime. The researchers from Universidad Jaume I were supported by the CICYT Projects TIN2014-53495-R and TIN2017-82972-R of the MINECO and FEDER, and the H2020 EU FETHPC Project 671602 “INTERTWinE”. The researchers from Universidad Complutense de Madrid were supported by the CICYT Project TIN2015-65277-R of the MINECO and FEDER. Sandra Catalán was supported during part of this time by the FPU program of the Ministerio de Educación, Cultura y Deporte. Adrián Castelló was supported by the ValI+D 2015 FPI program of the Generalitat Valenciana.